The Volkswagen Beetle achieved its near ubiquitous status in the automotive world in part by its long-running production; it was built and sold from 1938 until 2003, with more than 21 million cars built. The best-known economy car from German automotive company Volkswagen, the Beetle lives on to this day in the form of the Volkswagen New Beetle (a totally different car in terms of its modern day technology and engineering, but an important car for VW regardless because of its nostalgic value). Since the Beetle was sold throughout the world, many different versions of the car exist to suit various markets, but the car’s simplicity ultimately brings it all back together. The Volkswagen Beetle was designed from 1934 until 1938 by Ferdinand Porsche. There were very specific requirements, such as that the car had to be large enough to fit two adults and three children, but fuel economy had to meet a certain benchmark. Parts had to be inexpensive, readily available, and easy to replace, with an air-cooled engine to keep the mechanical systems simple. The Beetle was one of the first rear-engined cars, which later became one of Porsche’s best-known design elements. But because of World War II, it wasn’t produced in mass quantities until 1945. The Beetle didn’t earn its moniker right away; it was initially sold known just as the “Volkswagen” and it was called the “Volkswagen Type 1” within the company. The car was designed to attain and maintain decent speeds on the Autobahn, while being simple and inexpensive so that it could be affordable by average German citizens. Since Ferdinand Porsche was already developing cars at the time of the German contract, much of the Volkswagen’s stages of development were inspired by Porsche’s earlier designs. A lot of prototypes were built, but many were lost during the war. One such prototype was a soft top called the Cabrio Limousine, indicating early on that the Beetle was destined to eventually have a convertible version available, which came to light in 1949. The first flat-four air-cooled engines produced only 25 horsepower, but that was sufficient to meet the car’s objectives of performance, efficiency, and simplicity. The Beetle featured an uncomplicated drivetrain and suspension, making it possible for people to learn to work on the cars themselves, and was so light and airtight, it could float on water for a short time. Though most of the development kinks were worked out before the war started, mass production for civilians could not being until after the war since most industrial production was reallocated to fulfill wartime needs. Though the American and British militaries gained control over the Volkswagen factory, with plans to dismantle it, ship it to Britain, and reassemble it, no one in Britain was interested in producing the cars, so the factory remained in place and instead switched to production of British vehicles. Control finally reverted to Germany and Volkswagen. The Beetle became increasingly popular at this time, and the millionth Beetle rolled off the line in 1955. The Beetle soon had a 34 horsepower engine, fuel economy of 36 mpg, and a top speed of 71 miles per hour. Exterior changes generally involved updates to the window design, and the drivetrain was occasionally modified in favor of more powerful engines, and distribution gradually spread across the globe. The Super Beetle was introduced in 1971, marked by a new McPherson front suspension and a restyled nose. Super Beetles had a longer wheelbase, tighter turning radius, larger cargo compartment, larger rear window, bigger front brakes, and reverse lights integrated into the tail lights. Other styling and mechanical evolutions occurred throughout this era, such as a curved windshield, a fuel injected engine, rack and pinion steering, and several special limited editions. Eventually, more modern technology began to give the Beetle increasingly serious competition, including from Volkswagen’s own Golf (and Rabbit) hatchback, which was introduced in 1974. Though the Beetle outlasted nearly all of its air-cooled competition, demand for the car cooled to the point that Volkswagen announced the end of production in June of 2003. By this time, the original Beetle was no longer being sold in the United States, but Beetles were still being built in Puebla, Mexico, where the car was still popular. 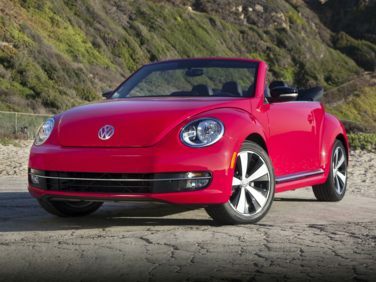 The last Beetle came off the production line on July 30, 2003.